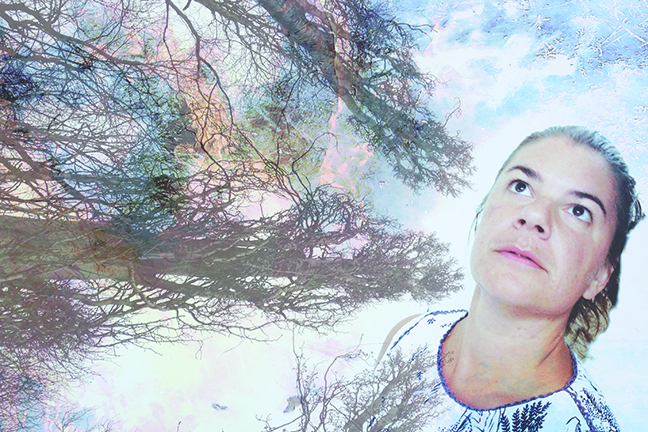 Helena is an artistworking mainly with sound, in Sweden and internationally. The works are characterized by field recordings and realized as audiovisual, multi-channel installations. Through listening, she works in various directions and approaches sound as a deeper way of registering and understanding the environment. By focusing on the details, the de-construction of an already existing sound environment becomes re-constructed into a new sonic and spatial scenery, where acoustic and visual esthetics go hand in hand. Railway tracks and sleepers placed in a beech forest, singing like a choir of tuned and pitched railway and crossing level recordings. A hovering kaleidoscopic wooden sculpture sounding in the dark, surrounded by humming chair lifts and rumbling double bass bows. Or an obscure, foggy room filled with grass, where nature meets a dense industrial environment sonically and visually. Several works are cross-art collaborations with architects, dancers, choreographers, musicians etc. Besides the installation art she appears in the e-bow duo Laurna Røde and other constellations. Helena is a member of the Society of Swedish Composers.